U.S. stocks gave back 6.2% in 2018 and finished the year in the red for the first time since 2008. The markets are so volatile that the Dow Jones Industrial Average lost more than 650 points on Dec. 24, generally a quiet day of trading, making it the worst Christmas Eve on record. However, if you’re a glass-half-full kind of person, the volatility of the last three months has provided buying opportunities for investors willing to take a chance on some of the markets’ most downtrodden stocks to buy. For one, I would say any stock that’s down YTD more than the U.S. average of 6.2%. Secondly, a downtrodden stock would be any company whose price-to-book is less than 1. Lastly, a downtrodden stock is one that is trading lower than it was two years ago. Here are my seven downtrodden stocks to buy as we foray further into 2019. 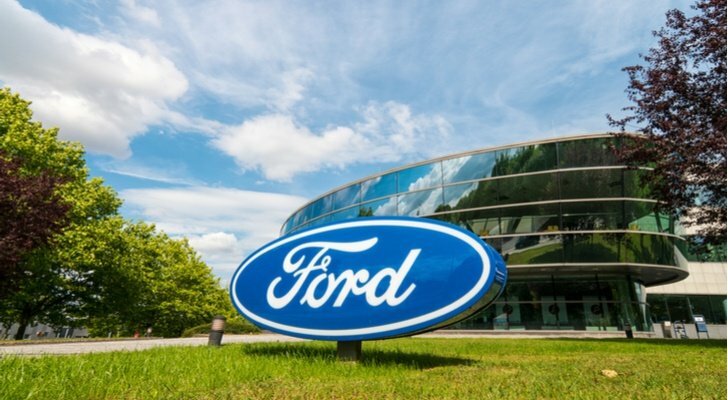 Ford (NYSE:F) declined 39% in 2018, and now Ford, much like General Motors (NYSE:GM) and the rest of the auto industry, is being forced to restructure its business to survive the global transition to electric vehicles. Morgan Stanley (NYSE:MS) estimates that the automaker will cut 25,000 jobs from its global workforce, a lot of the losses coming from Europe, where the investment bank values Ford’s European business at negative $7 billion. While Ford is not the kind of stock you want to bet your entire retirement portfolio, I believe Ford is the best U.S. stock trading under $10 at the moment. Kraft Heinz (NASDAQ:KHC) declined 44% in 2018 and has plummeted 50%-plus from where it was trading 24 months ago. No doubt Warren Buffett is aware that his 27% ownership interest in Kraft Heinz is leaking ketchup. Berkshire Hathaway’s (NYSE:BRK.A, NYSE:BRK.B) 325.6 million shares are worth $14.1 billion today; two years ago they were worth $26.6 billion. Sure, Buffett can take comfort in the fact Kraft Heinz pays Berkshire Hathaway $814 million in annual dividends. However, that doesn’t make up for the erasing of $12 billion in share value. Why buy Kraft Heinz under these circumstances? If it’s good enough for the Oracle of Omaha to maintain his investment, despite the company’s market cap deterioration, its upside must be just around the corner. Patient investors usually win. Buffett is the most patient investor on the planet. Molson Coors (NYSE:TAP) gave back 31% last year, and is down roughly 45% from where it was trading 24 months ago. My InvestorPlace colleague Ian Bezek was high on beer stocks this past summer recommending both Anheuser-Busch InBev (NYSE:BUD) and TAP stock. Well, guess what, TAP now trades at 11x forward earnings, significantly lower than its historical valuation. With craft beer appearing to have hit a plateau of sorts in 2018, combined with its partnership with Canadian cannabis company Hexo (OTCMKTS:HYYDF) to make cannabis-infused drinks, I see $55 as an excellent entry point for patient investors. Trinity Industries (NYSE:TRN) gave back 45% in 2018, and TRN stock is down 26% from where it was trading 24 months ago. The company best known for making railcars had been on a bit of a comeback the past 21 months after hitting a five-year low of $10.76 in February 2016 due in large part to low oil prices. And then November hit and its stock suddenly worth half as much. Trinity had spun off its infrastructure-related businesses into a new, independent publicly traded company called Arcosa (NYSE:ACA); shareholders received one share of Arcosa for every three Trinity shares held. “Following the separation, Trinity will concentrate its focus on being a premier provider of rail transportation products and services to customers while continuing to generate high-quality earnings and returns for our stockholders,” stated Trinity CEO Timothy Wallace at the time of Arcosa’s separation. I’ve followed Trinity Industries for a long time. In February 2016, I recommended investors who could stand the heat, consider buying TRN stock. Up almost 300% since then, the company’s chosen to focus on what it does best while extracting additional value for its shareholders through the Arcosa spinoff. Sometimes, addition by subtraction works. Marriott Vacations Worldwide (NYSE:VAC) dropped 48% in 2019, and it’s down 16% from where it was trading 24 months ago. 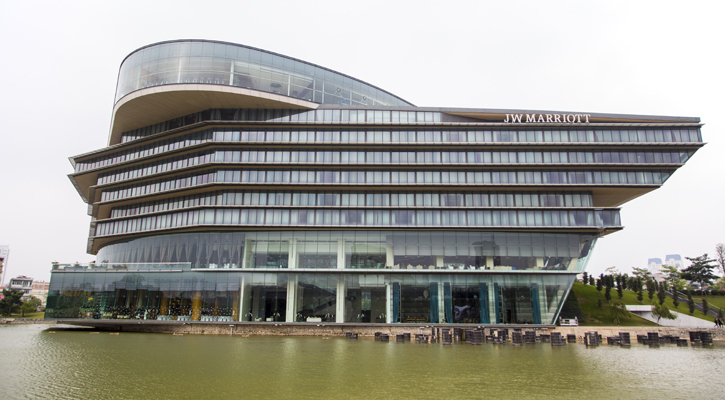 In recent years, the large hotel companies like Marriott (NYSE:MAR) and Hilton Worldwide (NYSE:HLT), have spun-off their vacation units in order to focus on their asset-light business models of managing hotels, leaving the ownership of real estate and other ancillary businesses in the hands of independent publicly traded companies like Marriott Vacations. Since spinning off Marriott Vacations in November 2011 around $18 — Marriott shareholders received one share of VAC for every ten shares of MAR — Marriott shareholders who’ve hung on to their shares have seen reasonably healthy capital appreciation despite the awful year in 2018. The average P/E for hotels is 14 times earnings. VAC currently has a forward P/E of 8.2, well below the industry average. Analysts expect Marriott Vacations to earn $5.71 in 2018, $7.79 in 2019 and $9.84 in 2020. At the industry average of 14 times earnings, VAC should be valued around $109 by the end of 2019, 68% upside from current prices. With the economy still strong, VAC seems like a no-brainer. Goldman Sachs (NYSE:GS) gave back 35% in 2018, and GS stock is down 30.85% from where it was trading 24 months ago. The investment bank was supposed to be one of the big beneficiaries of the Trump administration’s tax cuts, rollback of banking regulations, and increased infrastructure spending. Not only that, but former GS big whig Gary Cohn was in the president’s inner circle. Two years later, Goldman Sachs is in the middle of a significant investment scandal that’s seen former GS bankers implicated along with the Malaysian Prime Minister Najib Razak, in a giant embezzlement scheme to steal billions of dollars from the 1Malaysia Development Berhad fund (1MDG). Considering Goldman Sachs made $600 million in fees from the fund, if the bank’s involvement goes beyond a few rogue employees, GS stock could see double digits in 2019 for the first time since 2012. While GS CEO David Solomon denies the company’s involvement, attributing it to a case of a “few bad apples” acting alone, the company’s stock could continue to drop until it’s proven that the employees acted on their own. As risky plays go, GS is a big one, but the upside could be worth it in 2019. Lennar (NYSE:LEN) plunged 39.6% throughout 2018, and it’s down 7% from where it was trading 24 months ago. It hasn’t been a good year for housing stocks to buy with all the main players, especially Lennar, getting major haircuts. Investors just don’t want to own housing stocks at this point. Should interest-rate hikes slow in 2019, that view could change in a real hurry. InvestorPlace’s Vince Martin recently highlighted six housing stocks to buy if you believe in the economy. His rationale was that investor sentiment was way too negative given the strength of the economy — and I would agree. The fact is, Lennar Chairman Stuart Miller is confident the company’s on the right path to growth in 2019. 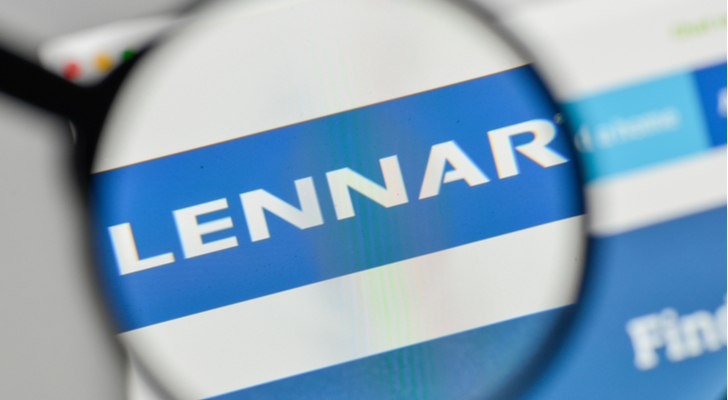 “With a solid balance sheet, strong cash flow generation and continued execution of our core operating strategies, we believe that we are very well positioned to continue our strong performance as we head towards the end of 2018 and into 2019,” Miller stated in Lennar’s Q3 2018 press release. The only asterisk to Lennar’s stock moving higher is a hint of recession before the end of 2019. Right now, that’s not on the table, but it’s something to be aware of. 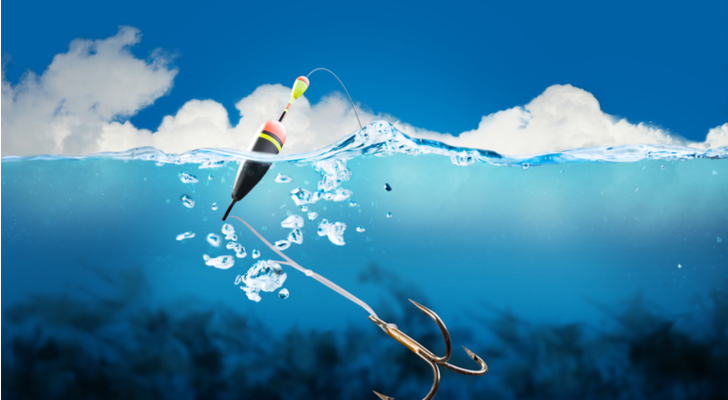 Article printed from InvestorPlace Media, https://investorplace.com/2019/01/downtrodden-stocks-to-buy-bottom-fishing/.